India began their tour of England with a T20 series which they won by 2-1. This was followed by a 3 match ODI series, which the English won by 2-1. And, now the time has come to make a move towards the most prestigious format of this game i.e. Test Cricket. A total of 5 tests will be played between the two sides. The first test is scheduled to start on August 1, while the 5th and last test will be played on September 7. Both teams are coming into this series, while having lost their last major Test series. England had a quite extreme winter, as they lost 0-4 to Australia, followed by a 0-1 defeat to New Zealand. On the other hand, India displayed some fight against South Africa, but still lost the series by 1-2. In this series, England have the upper hand as they have not lost a home test series since 2014, while India have not won a Test series in England, New Zealand, South Africa and Australia since 2009. Although, England have a gigantic home advantage, it is India who are the reigning number one test side in the world, while England are positioned at the 5th position. This is a definite morale boost for India, but there will also be a huge pressure to retain their number one rank against a rampant English side. Now, coming to the matter at hand, as to which players in this India Vs England Test Series, are going to have a huge impact? There is a considerable measure of hype around this 25-year-old Essex quick bowler and his name is Jamie Porter. The pacer has been around for some time now, and has been performing quite remarkably in the last 2-3 years in County cricket. 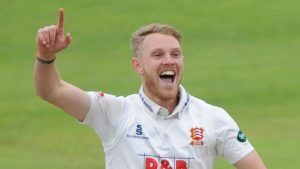 In 2016, Porter took 55 wickets from 14 County matches, while in 2017 he bettered his numbers as he took 75 wickets from only 13 matches and was a key player in helping Essex win the County season. Now in 2018, he has taken 28 wickets in 7 matches, which has finally allowed him to make his spot in the International English test team. Overall, Jamie Porter is a bowler who can swing the ball both ways, while also having the ability to bowl at a consistent channel. Moreover, if there is even a little bit of something on the pitch for the bowlers, Jamie Porter can use his strengths to exploit it in his favor. 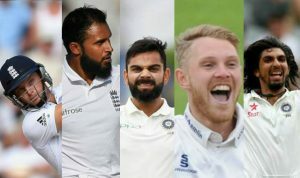 The pacer is likely to make his influence known from the very first test of India Vs England series, and he may very well be complimented from the other end, if England choose to play 3 pacers. Moreover, the debutante X-factor can also be quite favourable for England, as Indian batsmen are not particularly aware of the talented and youthful Essex pacer. For #5 go to the next page!